Fidget Spinners the New Craze – Why? Fidget spinners are everywhere. Have you seen one? If the answer is no, maybe you didn’t know what it was. It is the new craze with children and adults. A fidget spinner is a toy that consists of a ball-bearing in the center of a multi-lobed flat structure made from metal or plastic designed to spin along its axis with little effort. Fidget spinners became popular toys in April 2017, although similar devices had been invented as early as 1993. 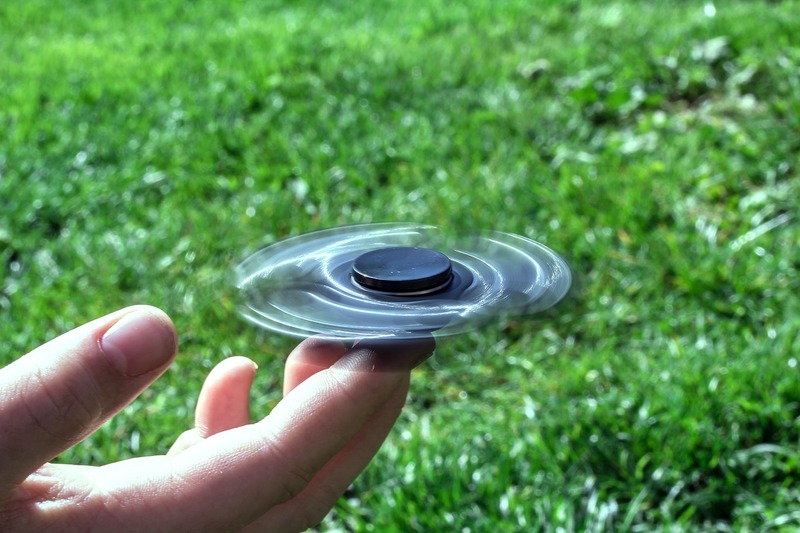 The popularity of the toy among children and teenagers has led some schools to ban use of the spinners in class for being a distraction, while other schools have allowed the toy to be used discreetly. In this video below is a demonstration of a fidget spinner which Allen Blau a friend of mine made from an old skate board. He removed the bearings and glued them together so it would be balanced. Allen says it doesn’t spin like all the fancy ones, but the weight and size is perfect for him. There is talk that the fidget spinner helps the brain focus and reduces stress. This produces a calming visual simulation and some even compare the fidget spinners to stress balls to relieve high intense stress levels in the workplace. Recently schools have started to ban fidget spinners saying they are a distraction and disruption in the classrooms for the students and teachers. What about the workplace? Are fidget spinners a distraction similar to having personal cell phones in the work area? I am all for reducing stress and burn-out in the workplace, however if it is a constant distraction and taking away from work performance then guidelines need to be established on what is acceptable and was is not. Do I know for sure if fidget spinners really reduce stress and anxiety? No I do not, however some individuals say it does reduce their stress and anxiety. Scientific researchers are still gathering data on this subject. Will this craze end before the research is gathered? Only time will tell. To learn more about a stress free life; sign up and click on the link 21- Days Optimal Work/Life Balance Workshop. Comments are always welcome and please share this post with your colleagues, friends, family and on your social networks for others to get inspired!